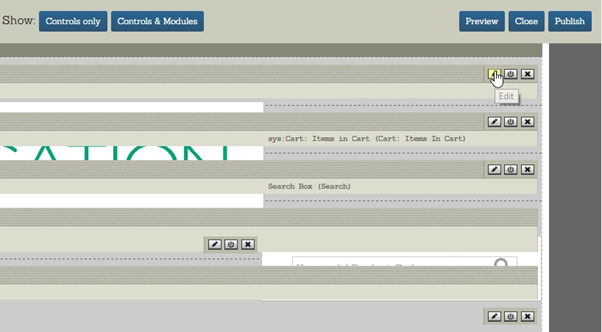 On the management section of your site, you may have seen the ‘Overall Layout’ option nested under appearance. This refers to the sections of your site that remain consistent between pages, such as the header, footer, and sidebars. 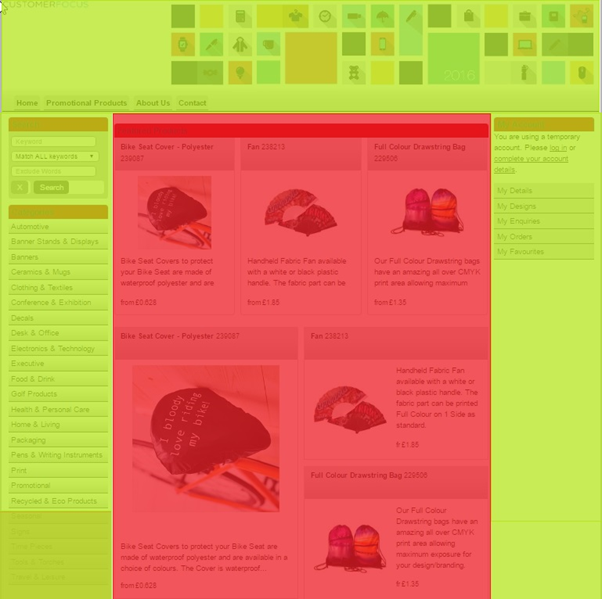 The green areas you see above are all controlled from overall layout, and these areas will remain consistent regardless of which web page you’re on. The area in red is page content, which can only be edited by heading to the corresponding page in ‘Content > Pages’. For more information on editing this area, click here and browse the Content section. Step 1 – Once logged into the management section (www.exampleurl.com/manage) head to Appearance, followed by ‘Overall Layout Revisions’. Once there, look for the listing that says ‘- Live’ and click ‘Manage’ alongside this entry. Step 2 – You will see the page editor on the next screen. From here, you can edit the header, footer or sidebars. To make changes to an existing module, locate the module on the editor and click the pencil icon in the top-right corner of the module. Step 3 – The module editor should appear. Make any changes you wish to the module, and once you’re happy, hit the ‘Save’ button in the module editor to return to the page. Step 4 – Once you’re happy with the changes you’ve made to the layout, you can click the preview button in the top-right of the page editor to see a snapshot of the page with your changes included, without pushing these changes to the live site. If you’re happy with the preview, hit Publish to make these changes live.